In the previous post, it was thought that clicking on MEBO Amazon links anywhere would be enough for MEBO to get commission on any purchases. 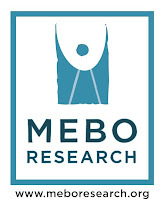 However there were 37 purchases via the MEBO link this month, and commission was only given in 5. After inquiring about this, it seems that only MEBO-Amazon links or banners on any MEBO site qualify for commission (it seems. We will need to check regarding emails). So for anyone wishing for MEBO to get commission on purchases via Amazon, please use the Amazon banners or links on the blog or any posted in the MEBO Facebook page (for example). The tagged links can also be posted on any public site. Please do not save the links in your browser. Use the links on public sites.